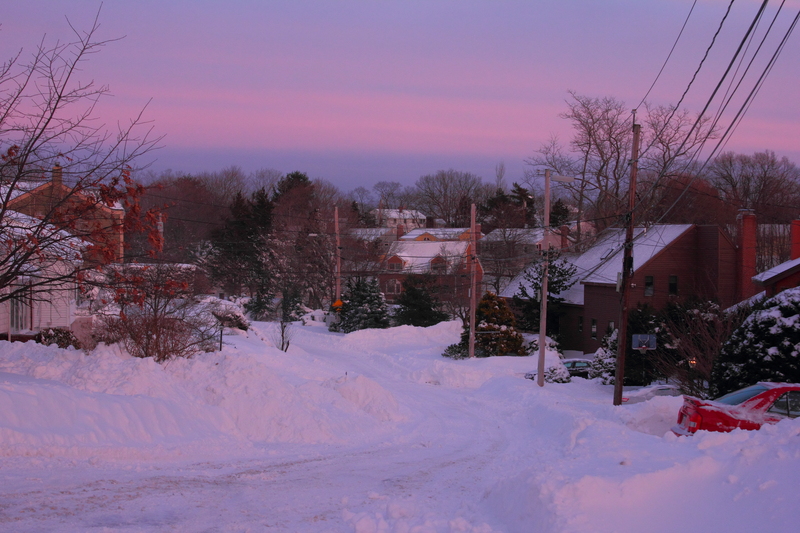 Stone Road after a snowfall. 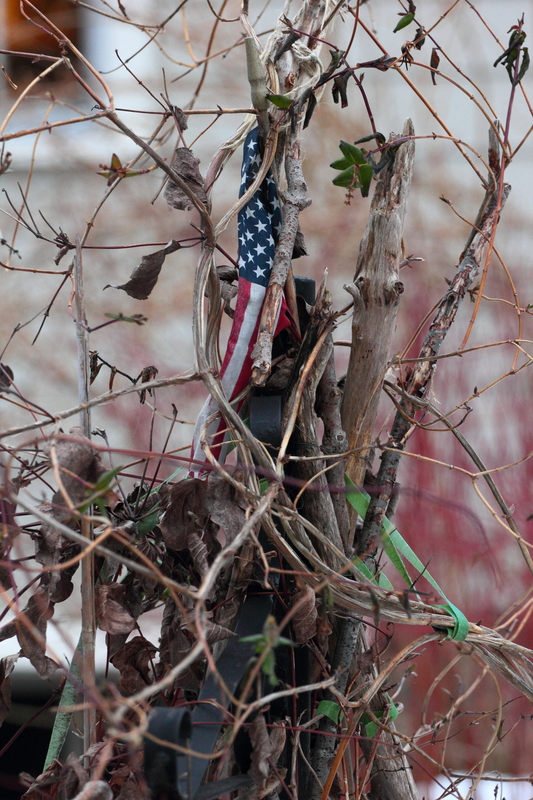 Climbing vines surround a small flag in the front yard of Millett Street home. 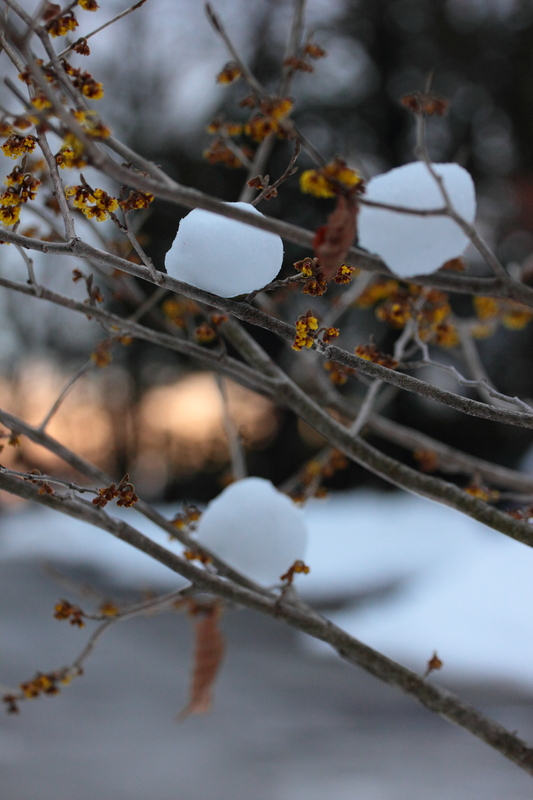 Snowballs placed in the branches of a flowering bush along Fabyan Street. 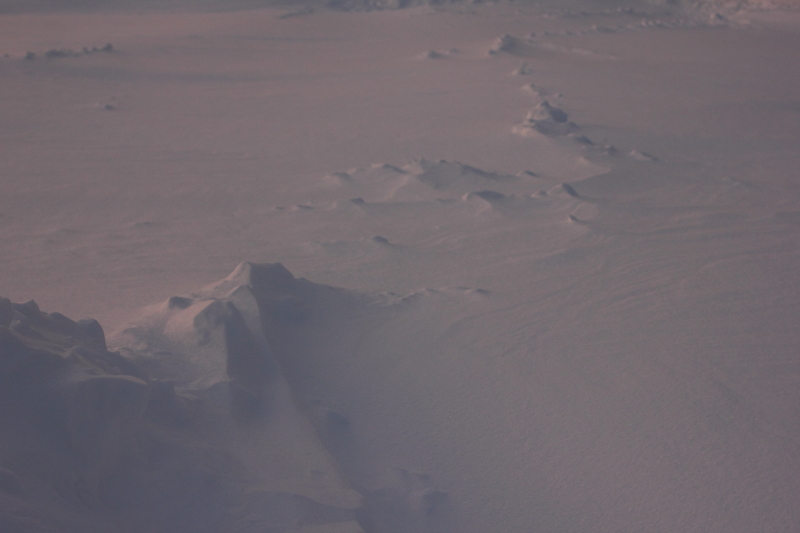 Snowdrift formations in the Stratton School parking lot. 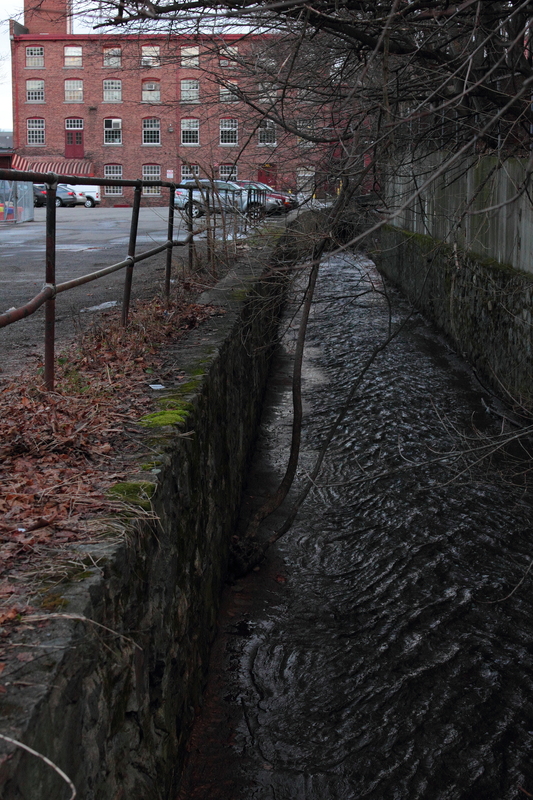 Mill Brook runs by the Schwamb Mill office building. 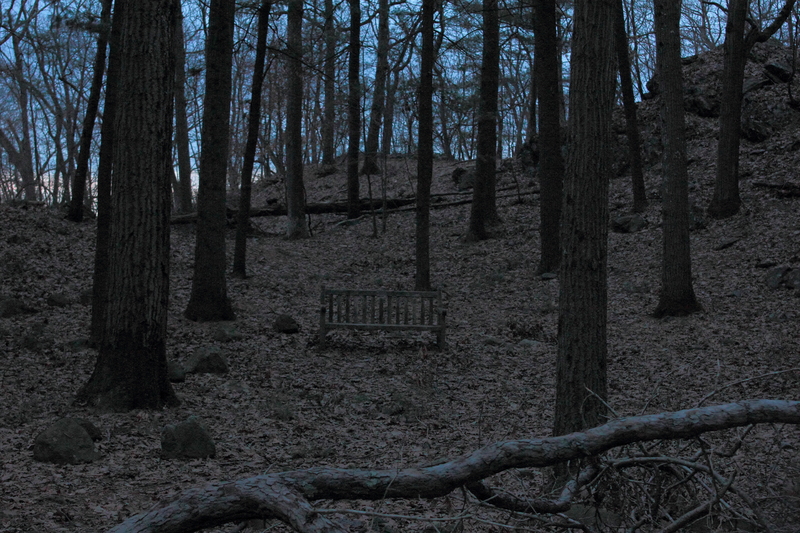 A bench in Menotomy Rocks Park at twilight. 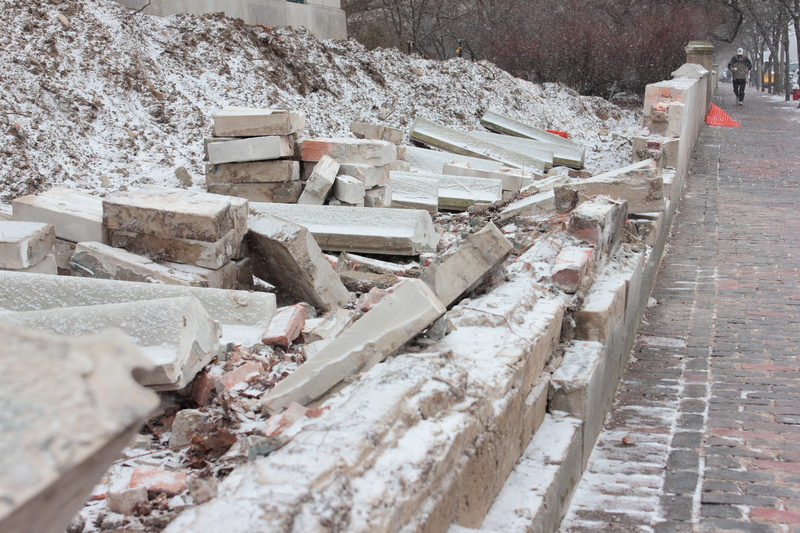 Snow begins to fall on the scattered stones of the wall which will be rebuilt as part of a construction project at the Robbins Library.